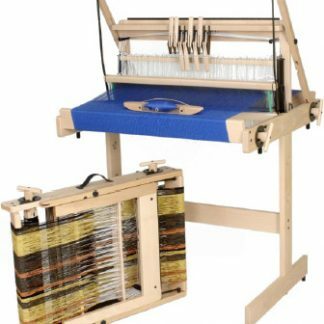 Designed by a weaver for weavers, this table loom offers exceptional features and performance to make any weaving project a snap. 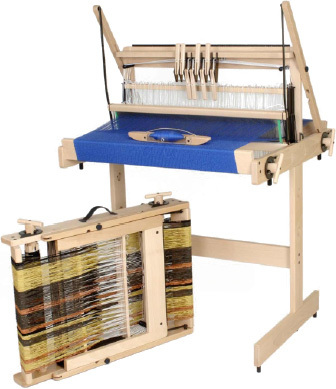 Jan Louet modified the old Louet Kombo Table Loom based on Jane Stafford’s wish list. 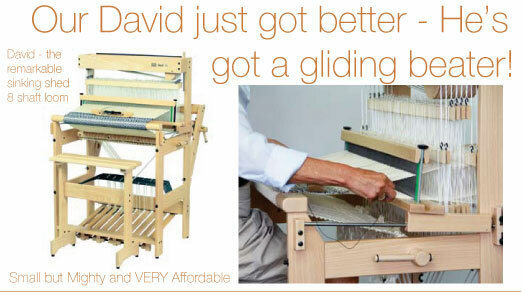 The Jane Loom is the wonderful result. 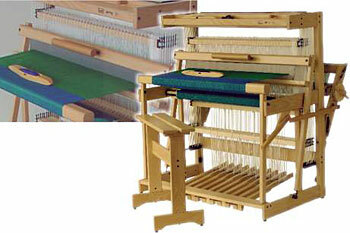 Jane is offered in two weaving widths, 40cm (15.5″) or 70cm (27.5″). Truly lightweight and portable at 17 lbs, Jane folds down to a height of only 5.5″ for easy transport or storage. 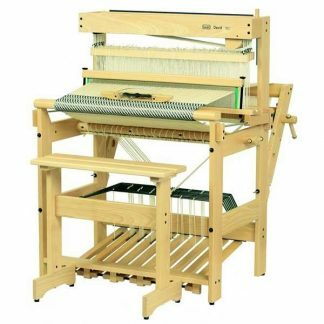 All Louet looms come supplied with “Texsolv” string heddles and tie-up cords allowing for quiet operation and easy tie-ups. Download the Jane instructions for assembly manual. Download the Jane Loom warping instructions. Jan Louet setting up a Jane loom.